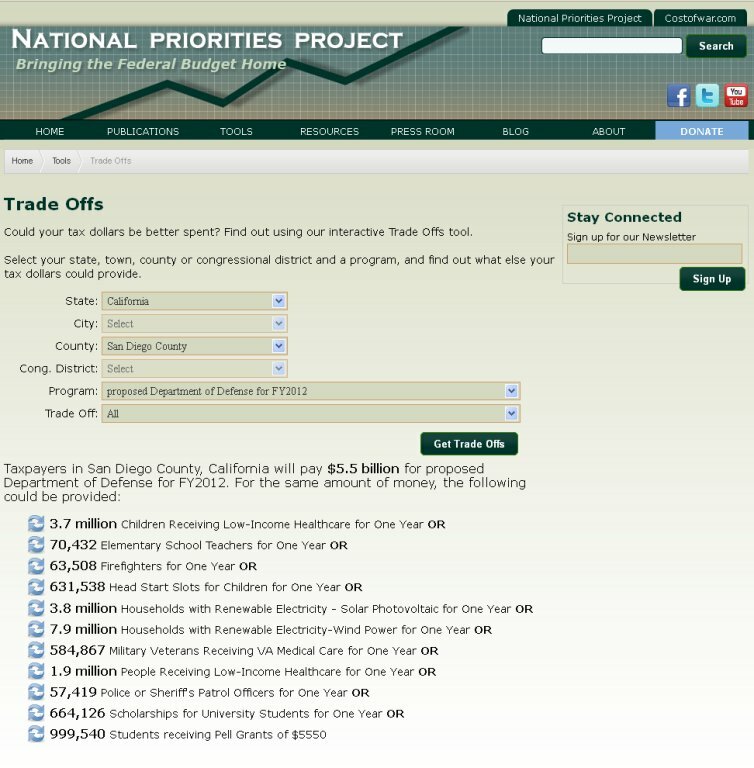 The picture below from the National Priorities WWW site shows the "tradeoff" for the $5.5 billion contribution of the taxpayers of San Diego County to the proposed FY 2012 budget for the War Department (euphemistically called the Department of Defense) in one area - renewable electricity - wind power - to be 7.9 million households served. As there are only a reported 1,164,786 housing units in San Diego County (US Census, 2010), one can easily visualize the impact of an approximate 14.75% cut in San Diego County's contribution to the War Department's budget for one year on the infrastructure of San Diego County - not to mention the other 3,142 counties in the United States! 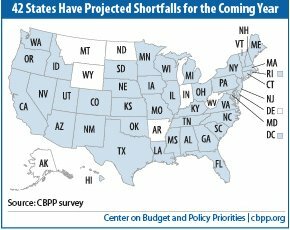 totalling $103 billion, and ask this simple question: "Isn't it time to apply common sense to the impact of the War Department's budget on the infrastructure of the 50 States of the Union?"